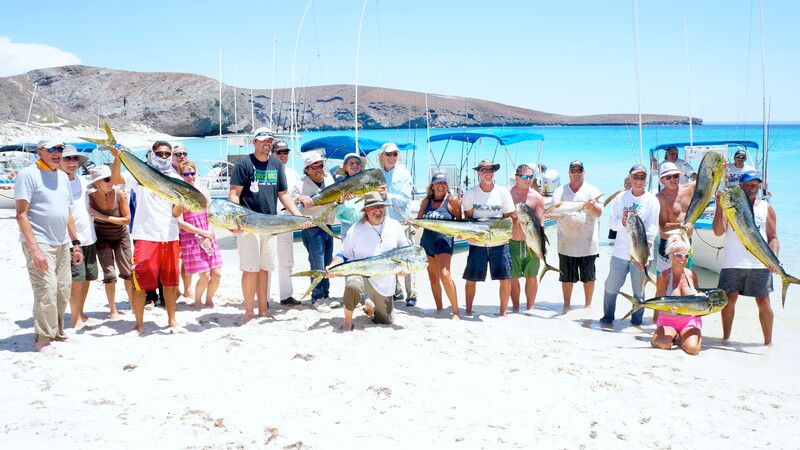 Nice one-day catch for Tim Hoops and his boys with some surprise early season school-sized dorado and sierra while fishing with us from Las Arenas. This photo was taken on the beach at Bahia de los Muertos. It’s that time again! 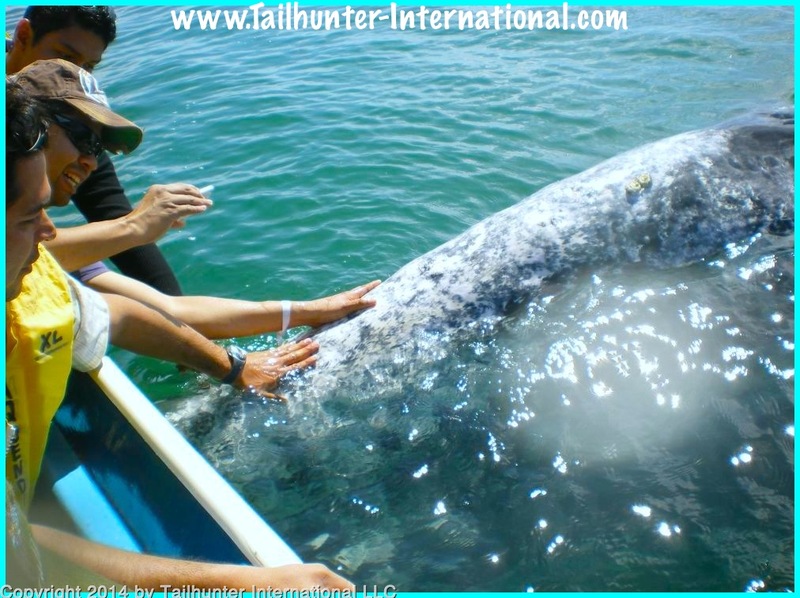 The grey whales have arrived in Bahia and Tailhunters is running our daily whale watching trips to Bahia Magdalena. Come check it out! We’re Denver bound now! 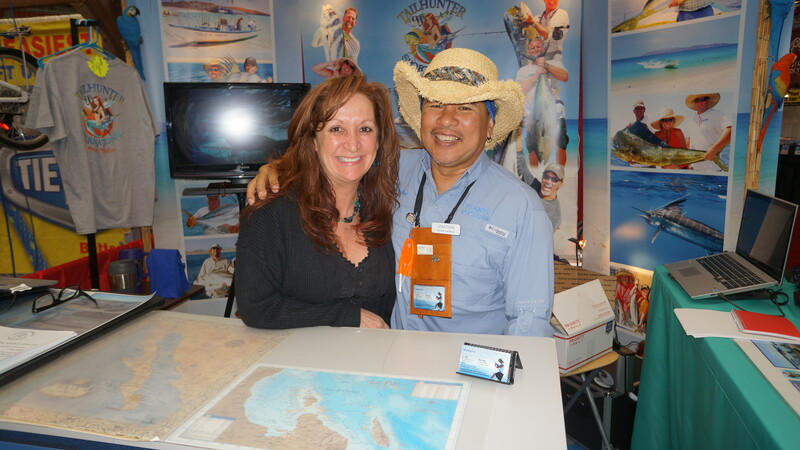 Jill and Jonathan in their booth ready to set up your next La Paz fishing adventure! SOME SURPRISE SPECIES ADD ACTION! The New Year is off to a good start! We had some nicer days on the water this week. Some breezy days, but overall, some good days to be on the water, all things considered. It’s just a nice time to be in town. Sunshine and 75 degree days and 60 degree nights and not many tourists in town almost make it a “sleepy seaside city.” It’s really one of my favorite times in Baja. For the fishing, there were some surprises. We got the usual winter-fare of inshore specials including some pargo liso…running about 5-10 pounds. Cabrilla in the 3-4 pound class. Some surprisingly large sierra this year up to about 5 pounds and some good fun with 4-6 pound bonito. However, surprisingly, we had some appearances of some species we normally don’t see this early in the year. For one, we had a few of our anglers tie into some pre-season rooster fish! Normally, we don’t see roosters until maybe late February or March so these were a nice bonus. The fish ran about 10-20 pounds and were taken around the Las Arenas lighthouse and Bahia de Los Muertos. The other surprise was the showing of small school-sized dorado. 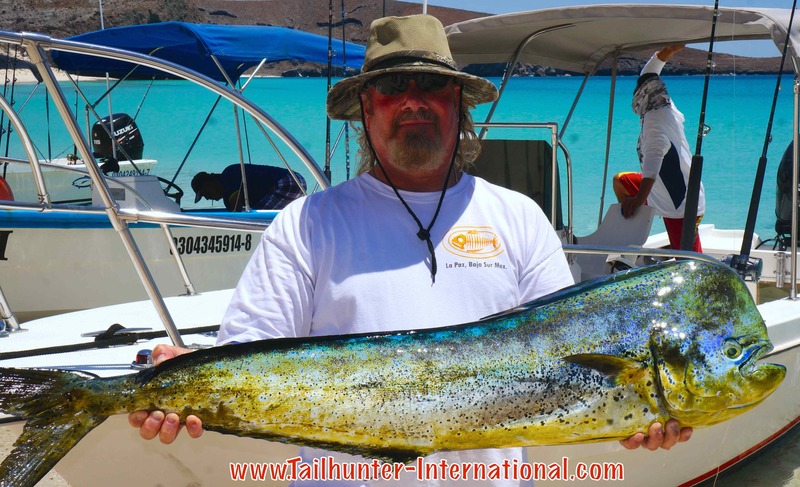 Perhaps 10 pounders, but great eating and again, we don’t usually see them in May so perhaps this is a sign of some early mahi moving into the area. By the way, word has it that our scouts are already seeing gray whales over at Bahia Magdalena! It seems they’re coming a tad early as well. This is a great opportunity to get about as close to one of these wonderful huge animals as humanly possible without getting into the water! We’ll be running trips until about late February or Mid-March when the whales start swimming north again But for now, this is the time when the whales arrive after the longest and largest migration of any animal on Earth all the way from the Bering Sea to spend time mating and birthing in the warm lagoons of the western Coast of Baja. Ask us about or great whalewatching tours! TAILHUNTER / WESTERN OUTDOOR NEW 2015 PANGA SLAM JACKPOT TOURNAMENT IS FILLING! Dave and Michele Conklin from Washington just reserved and are coming back this year for more fun! We just announced the dates for our 2015 Panga Slam last week and the response was incredible! Still some spots available. Dates are June 16-21 and is gonna be a blast with 3 days fishing / hotel/ several great parties and dinners and a big island snorkel party as well. All this personally hosted by Jill and myself and Executive Editor Pat McDonell from Western Outdoor News. It promises to be another great time. 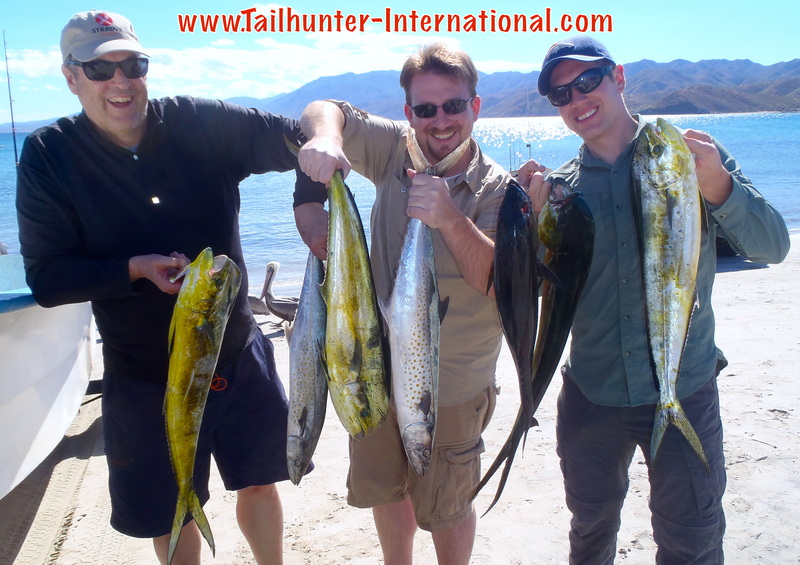 For more information, contact us here at Tailhunter at riplipboy@tailhunter-international.com or call 626-638-3383. We just wrapped up the first of our road shows with an explosively great fun 4 days at the California State Fairgrounds for the Sacramento ISE show! With over 650 vendors it was the largest fishing and hunting exhibit in the history of the Sacramento ISE and IT WAS PACKED! 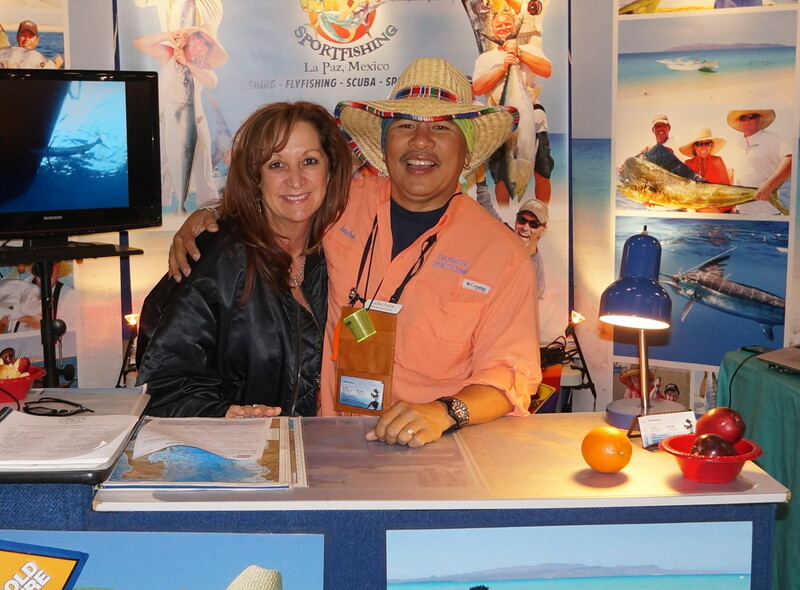 Thanks to all our amigos who came out to see us and say hi and to also set up their La Paz fishing adventure with us. We had a great time and also a big thank you to everyone who brought us so many goodies…everything from sushi to Chinese pork buns…wine…See’s candy…homemade cookies…homemade cheesecake…homemade carmel corn…gourmet chocolate…cheese…bread…pastries…champagne…you’re the best. Also a special shout-out to the Tim Campbell family (Better known as the TIM and PAULA BUTTERWORTH FAMILY…I screwed up dangit!) who put together a little ice chest travel pack for us on the road filled with gourmet cheese…baguettes…marinated mushrooms…candies…seafood spread…wine and more! We were well stocked for our journeys!